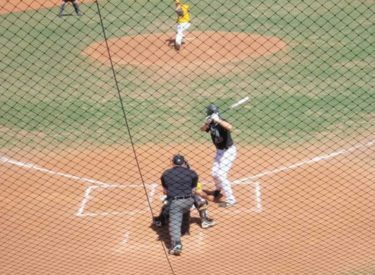 Seward split with the rival Garden City Broncbusters Saturday at Williams Stadium in Garden City but won the four game series 3-1. The Saints just missed sweeping the four game series. Seward took game one 19-4 in five innings and Garden won the second game 13-10. In game one, Seward scored seven in the second, seven in the third, and four in the fourth in rout to the win. Paul Pulley (4-2) went the distance for the win. Jon Mestas was 3-4 with his third homer of the season and three RBI’s in the win. JT Bean was 3-4 with four RBI’s. Ben Wainwright was 2-4 with two doubles and three RBI’s. Tyler Hill was 2-3 with a triple, a double, and two RBI’s. Jordan Dallalio was 2-3 with three RBI’s. In game two, Seward built a 6-2 lead going into the bottom of the second and led 8-4 going to the bottom of the fourth. That’s when the Saint defense let down allowing five unearned runs the next two inning. The scored was tied at nine after five. Seward led 10-9 into the bottom of the eighth when Seward pitching walked two and beaned one as the Broncbusters plated four to lead 13-10. Tanner Rainey was 4-5 with a triple in the loss. Jon Mestas was 3-5 with a double in the loss. Jordan Dallalio was 2-4 with two RBI’s. The Saints remain in first place at 17-7 in the Jayhawk West and 28-17 overall. Garden City is 12-8 in the Jayhawk West and 26-13 overall. Seward hosts Clarendon Wednesday at 3 p.m. at Brent Gould Field.